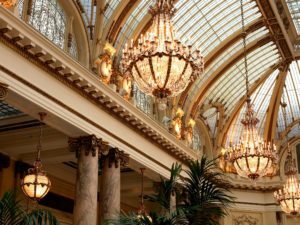 A San Francisco landmark has just undergone a major renovation! The Palace Hotel was originally built in 1875, and with 750 guest rooms, was the largest hotel in the world. 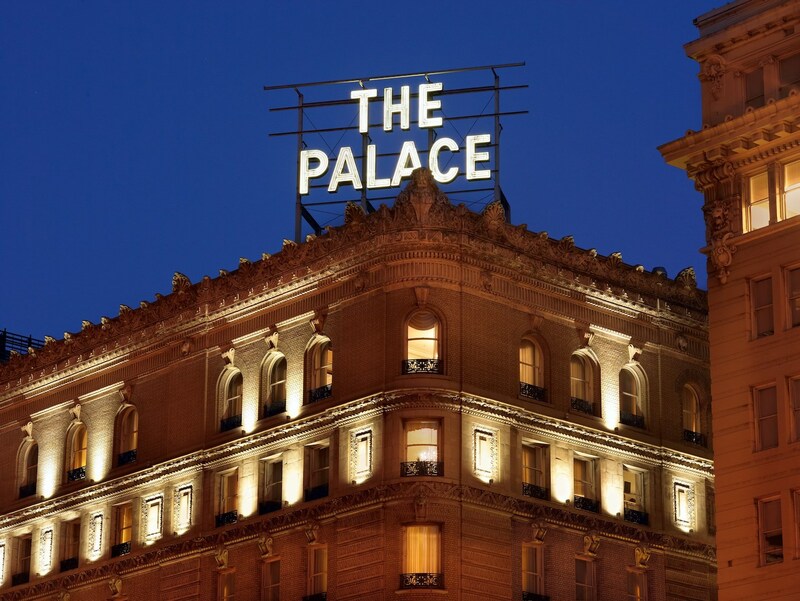 After being destroyed by the fires of the 1906 earthquake, the Palace reopened in 1909, even more grand than before! One of the features the Palace is best known for is The Garden Court. In 1969, the beautiful area was designated San Francisco Landmark Number 18 by the Landmarks Preservation Advisory Board. 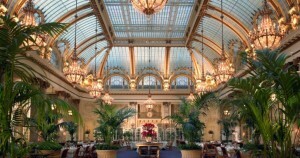 Years later filmmaker David Fincher used the infamous Garden Court in his 1997 film The Game, starring Michael Douglas, in which Douglas can be seen crashing through the ornate glass ceiling HERE. 20 years later, in 1989, the Palace was closed for a major restoration. And now, the hotel has just finished another big renovation of its guest rooms. 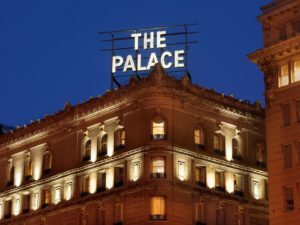 No matter how much it changes, though, the Palace always evokes a timeless elegance. Click HERE for a look inside the this luxurious landmark. California Life visited the hotel a few years ago, as it celebrated its 100th anniversary. 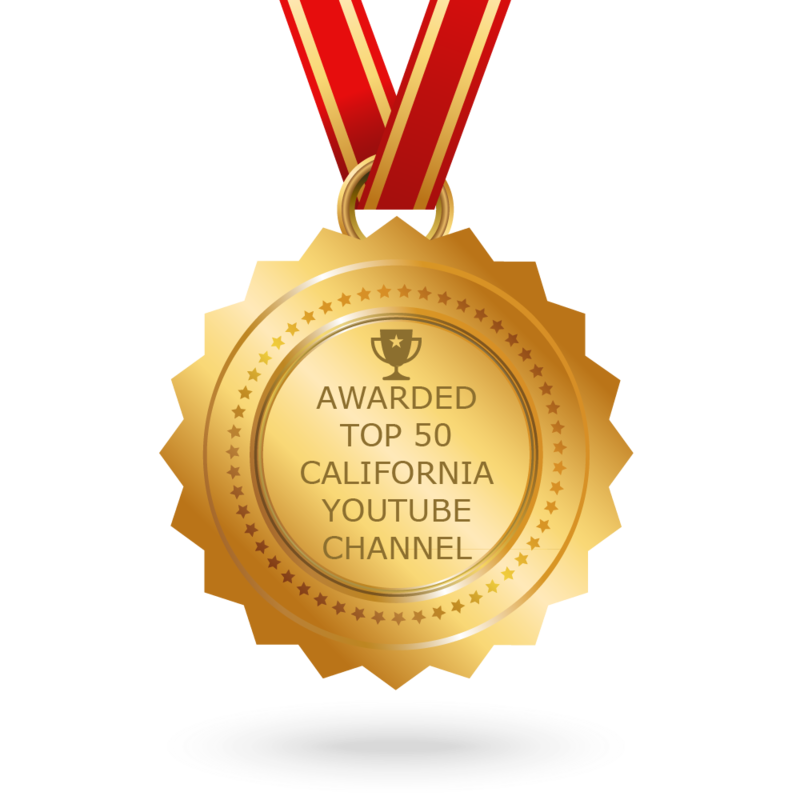 Check out our story below!